Alexandria and Sam are my kind of couple. After 11 years together, studying at University in Montreal, 8 months backpacking around the world, numerous ski holidays and a trip to Iceland, and then beating breast cancer, Alexandria and Sam decided to get hitched. They aren't really traditionalists, so they skipped the whole 'engagement' part and jumped straight into planning their wedding. On New Year's Eve no less. They wanted a photographer who was fun and quirky and who would go that extra mile for them. 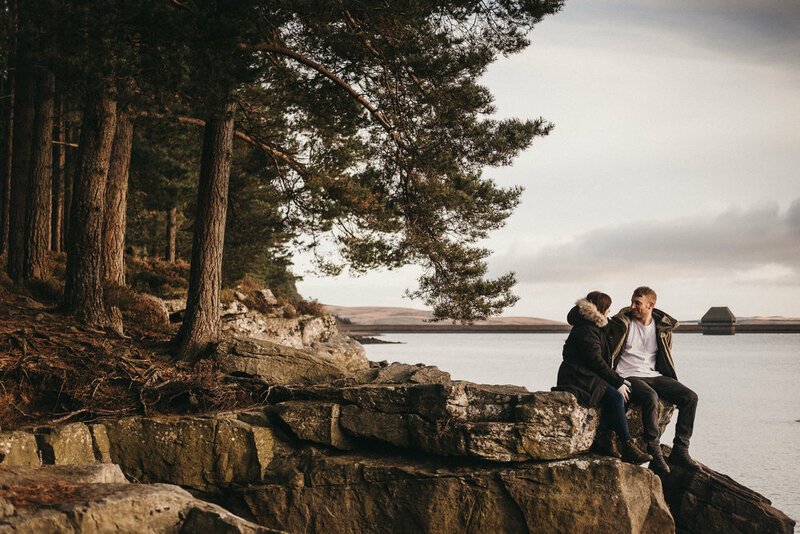 So instead of a short trudge around the local park for our pre-wedding session, we drove up to Kielder Water and Forest just before sunset. We then set off on a hike through the woods, getting lost on purpose. 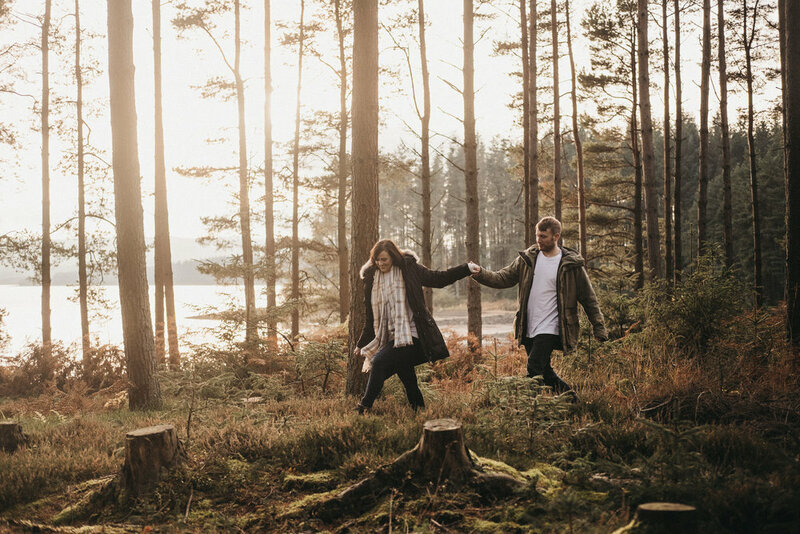 Would you rather wear hiking boots than high heels on your engagement session? Are you willing to drive an extra 30 minutes to an epic location instead of trudging round your local park? If your answer is HELL YES! then get in touch here. And if you'd like to visit Northumberland weddings you can see loads more couples sessions, and some real weddings.